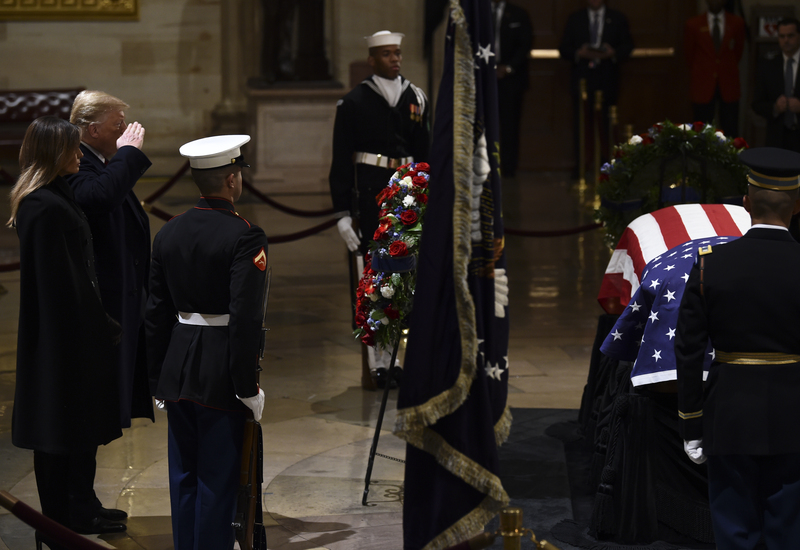 President Donald Trump paid his respects to former President George H.W. Bush in the U.S. Capitol rotunda late Monday evening, accompanied by his wife First Lady Melania Trump. 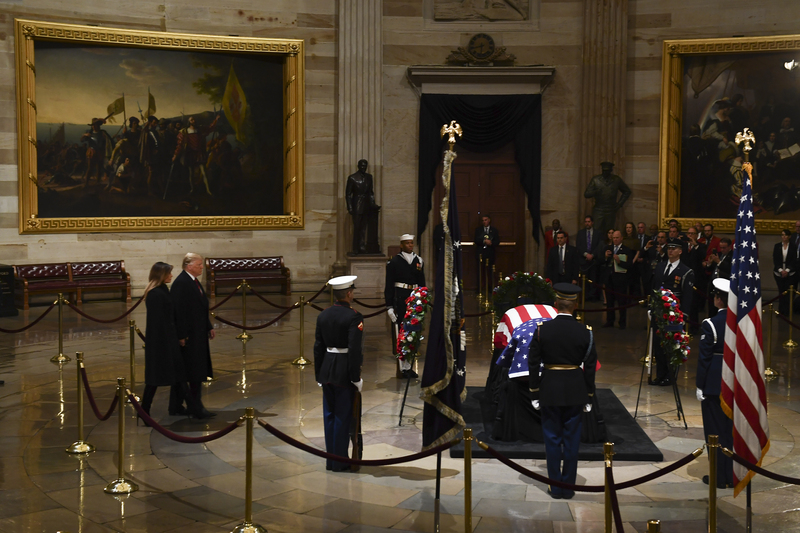 Trump and Melania entered the Capitol rotunda for approximately 2 minutes Wednesday, circling the casket of the former president and staying silent for one minute. 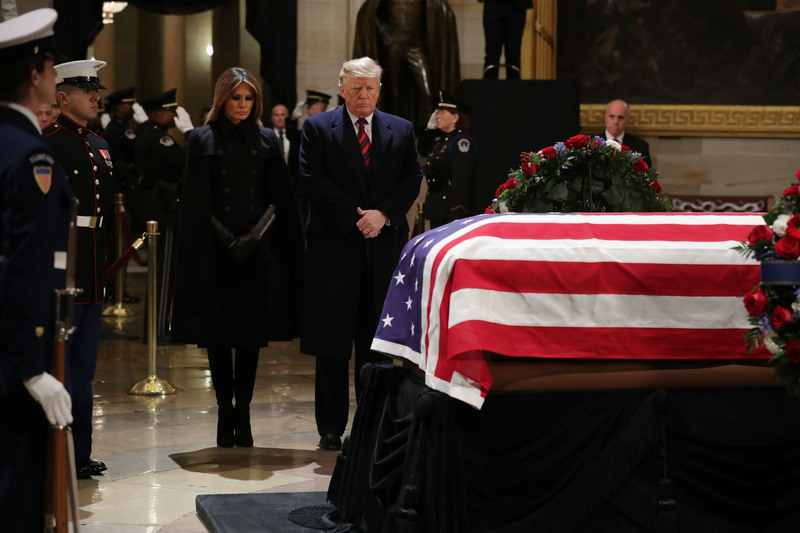 Trump saluted Bush’s casket as commander-in-chief while his wife covered her heart with her hand, observing the proper flag protocol for a civilian. 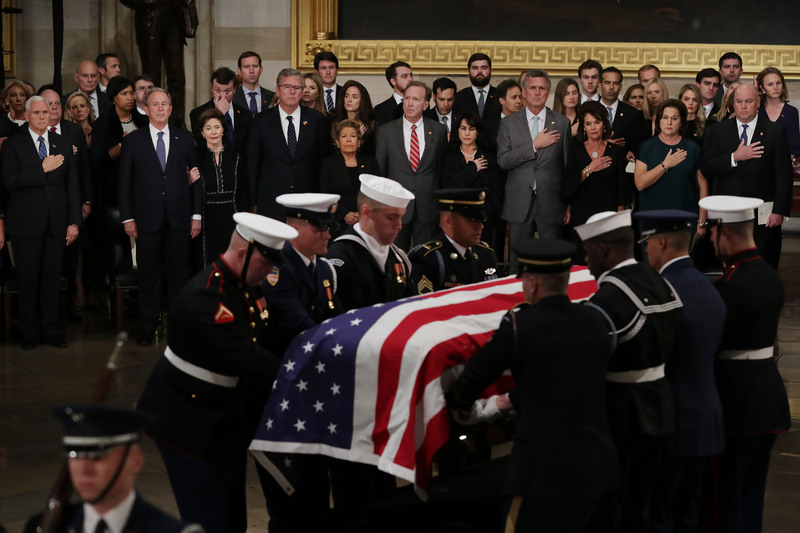 Bush’s children sat around the casket during the ceremony, including former President George W. Bush and Governor Jeb Bush.